Married more than 45 years to Karolyn, Dr. Gary Chapman is just the man to turn to for help on improving or healing our most important relationships. 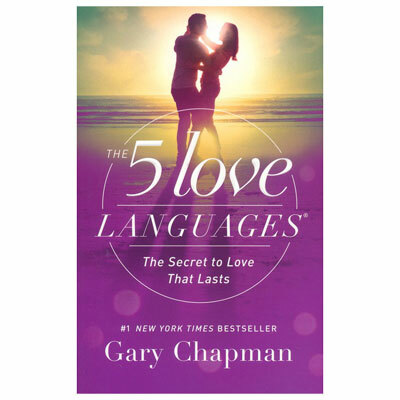 His own life experiences, plus over thirty-five years of pastoring and marriage counseling, led him to publish his first book in the Love Language series, The Five Love Languages: How to Express Heartfelt Commitment to Your Mate. Millions of readers credit this continual New York Times bestseller with saving their marriages by showing them simple and practical ways to communicate their love to their partner. Dr. Chapman holds BA and MA degrees in anthropology from Wheaton College and Wake Forest University, respectively, MRE and PhD degrees from Southwestern Baptist Theological Seminary, and has completed postgraduate work at the University of North Carolina and Duke University. Dr. Chapman and his wife have two adult children and two grandchildren, and currently live in Winston-Salem, North Carolina.